Step-up alto for the committed student, accessories included. The Allora Vienna Series Intermediate Alto Saxophone gives sax players who want to step up a better instrument with reassuring key action, great looks, and the ability to perform just about any kind of music. 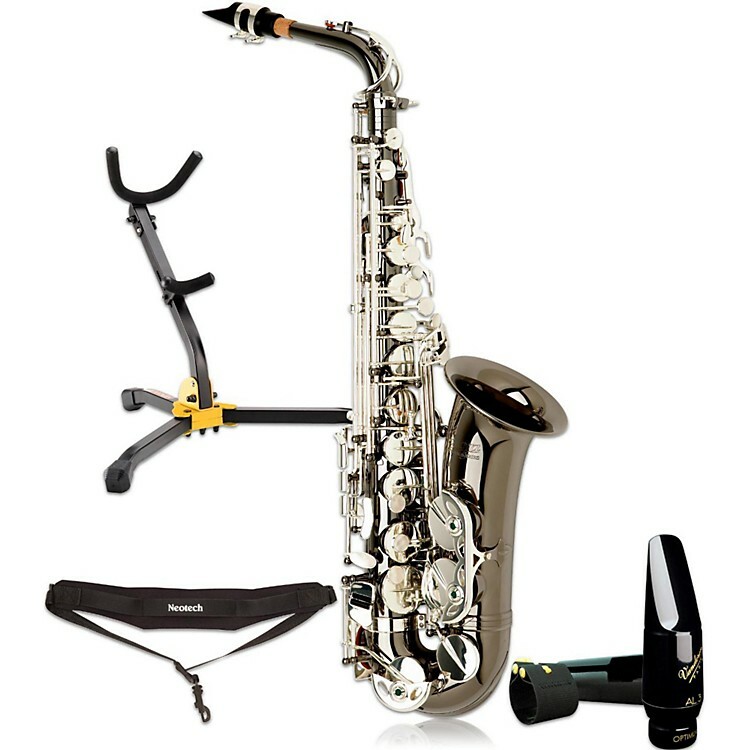 Included with this fine alto are essential accessories, all at an attractive package price. Allora Vienna Series Saxophones are a great value for both student instrumentalists and school music programs on a budget. As affordable step-up instruments, Allora Vienna saxophones do an excellent job of combining features that enhance the sound with features that enhance durability. The result is that Allora Vienna saxophones provide years of service to a wide range of players. An Allora Vienna Series Intermediate Alto Saxophones could be just the solution you have been looking for. Order today and move into your next instrument fully equipped.